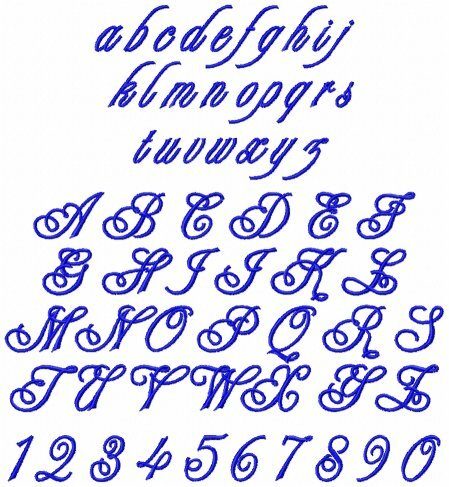 A lovely script alphabet in 5 sizes: 4 inch, 3 inch, 2 inch, 1 inch and 1/2 inch. 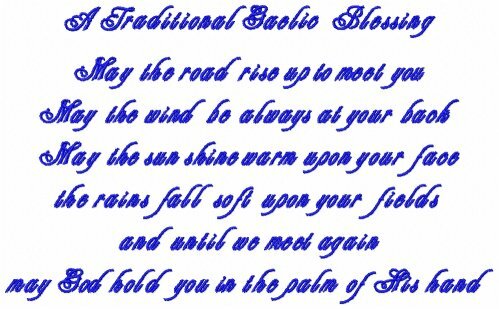 Also includes .BX format for use with Embrilliance software! The price of this collection is $30 for all 5 sizes. 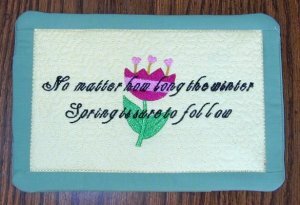 Pam Plenchnor used this alphabet and Embrilliance to put together a lovely Spring Saying design and wishes to share it with you. On the right below is the project she made with the design and a flower from Valentine Animals.